June marks the first anniversary since the murder of the gifted social justice campaigner and British MP, Jo Cox. A series of events are planned to celebrate what unites communities. On 16th June, the UK will remember the day one year ago when the nation was left shaken as details emerged about the death of Jo Cox. She was shot and stabbed to death on the streets of Birstall, a small town in her West Yorkshire constituency. Her murderer was a local man with connections to far-right extremist organisations. In a recent article for the Guardian newspaper, Jo’s husband, Brendan Cox writes movingly about his experiences since the death of his wife. In particular, he talks about an initiative aiming to promote a spirit of generosity and inclusiveness, values that infused Jo’s life. Brendan explains that in the past year, he has channelled his energies into two things: “First, and by far the most important, giving our kids all the love and comfort possible, however much we are all hurting. I can’t bring back their mum, but I can do my best to fill their lives with joy and adventure. The second thing that keeps me going is fighting the hatred and extremism that killed her”. A fruit of the latter energy is the Jo Cox Foundation. 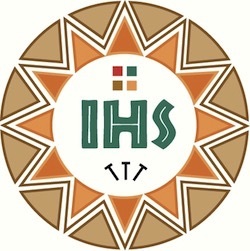 Its website explains that the organisation’s raison d’être is “to channel the energy and determination generated by Jo’s life and untimely death into practical efforts to advance the causes she championed”. Four issues the Foundation focuses on are loneliness, the Syrian conflict, women in public life, and protecting civilians in conflict. In her work for the charity sector and during her time as an MP, Jo was a tireless campaigner for the socially and economically marginalised. She also believed that the presence of ethnic minorities in the UK is one of its chief assets. In her “maiden” (first) speech in the House of Commons in June 2015, Jo referred to the multicultural nature of the area she represented, pointing out that it has been “deeply enhanced by immigration”. She spoke of her conviction that although diverse, “we have far more in common than that which divides us”. It is therefore especially tragic that her murderer was motivated by a hatred for the vision of inclusiveness, which Jo sought to promote. 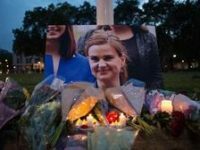 The hope of the Jo Cox Foundation is to break the vicious cycle of polarisation that gives extremism a platform. It is for this reason that, together with a range of partners, the Foundation came up with the idea of The Great Get Together. As Brendan explains in the Guardian “At the turn of the year I decided the best way to mark the anniversary of Jo’s death would be to give people the opportunity to come together to celebrate all the good things that unite us as a nation. The idea has really taken off and on the weekend of 16-18 June there will be thousands of events all across the country under the banner of The Great Get Together”. Poignant, although unplanned, is the fact that The Great Get Together will take place just one week after the “snap” general election called by British Prime Minister Theresa May. Brendan says that “I’m convinced that after polling day a collective moment of coming together will be more relevant than ever”. He confides “For lots of reasons, this isn’t an election I’m looking forward to. We’ve got a proud tradition in this country of airing our opinions and having our disagreements while at the same time respecting those whose views we do not share. What worries me is that respect for our opponents has become a disposable quality, too easily jettisoned when passions rise. But elections don’t have to widen divisions in society and I desperately hope this one won’t”. Referring to examples of the recent rise of the political far right in Austria and France, Brendan writes “We have allowed ourselves to believe that our values and the institutions that support them are in some way sacrosanct, when in fact they are only as strong as the public’s support for them. What is increasingly clear is that every generation must fight to protect and sustain them. Too often liberals see everyone who doesn’t agree with them as idiotic or bigoted, when the vast majority are neither. There are many people who have understandable concerns about the pace of change in society and about the impact of immigration, but who are also decent people who believe in inclusion. Calling them racist or stupid pushes these people into the hands of the extremists”. The Great Get Together is step in the direction of bridging divides. By mid-May almost 20,000 events had already been planned, ranging from street parties organised by scout groups, a “building and decorating a dove” activity led by Birmingham Anglican Cathedral, and numerous dances held in village halls throughout the UK. The Great Get Together organisers invite partners from all aspects of the community to participate. Acknowledging that faith groups “do a huge amount already to build community and to bridge divides of age, race, wealth and opportunity”, the organisers add “we hope that you will join us to make the Great Get Together a huge success and to celebrate what we have in common”. Brendan concludes: “Jo loved a party and I hope this will be a national moment of joy. Of course, for her family and friends it will be tinged with great sadness. But if we succeed in bringing the country a little bit closer together I know Jo would be proud of us”.